Keeping cool has never been cooler! 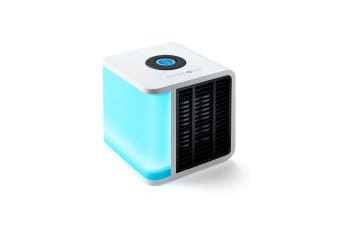 Compact and convenient, this USB powered air cooler is a handy little unit that’s easy to set up anywhere. Powered by USB – simply add water then plug into a computer or power bank to get started! Beat the heat in style this summer with the Evapolar USB Personal Air Cooler. You’ll never have to worry about tripping over pesky power cords ever again – this innovative device is powered by USB. You have the freedom to plug it into a computer, laptop or even a power bank, and position it wherever you want! 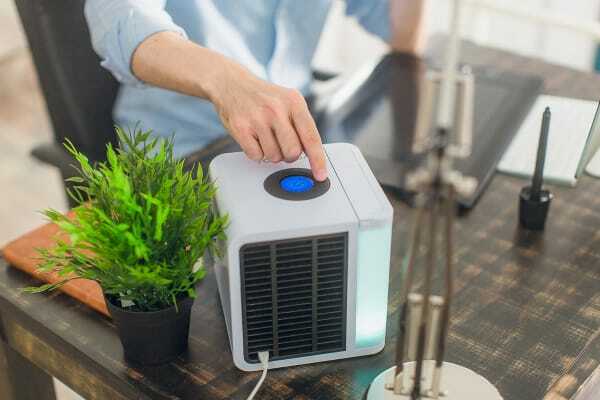 To use the Evapolar USB Personal Air Cooler, all you need to do is add water into the removable water tank, plug it in – then sit back and relax in the cool breeze! The air conditioner humidifies, purifies and chills the air, creating the perfect environment for you. 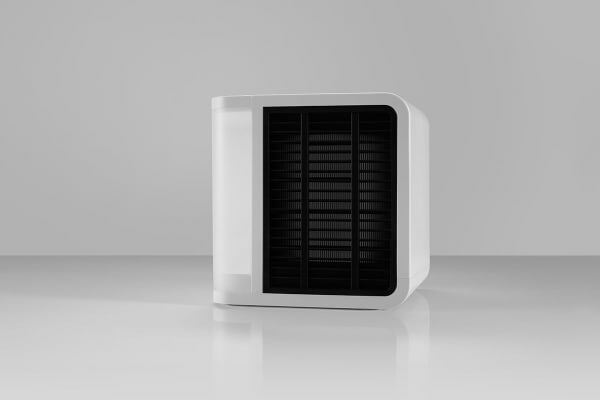 The Evapolar USB Personal Air Cooler uses no toxic Freon-like liquids and consumes only 10W of electricity, making it much more environmentally friendly compared to many other air conditioners. Sitting conveniently on desks and tables, it is perfect for home, office, bedside use or even in a tent! Some assembly of the window kit required, please see the user manual below for more information. Very impressed with the cooling comfort I could get from Evapolar. I’m confined to my room due back surgery. Fans just circulate the hot air, Evapolar cools my personal space. Really impressed with this product. Works efficiently and is so compact.